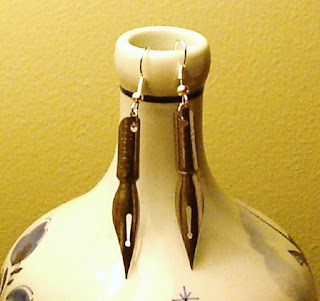 If you have a bag of earring hooks and some jump rings you can make almost anything into earrings. 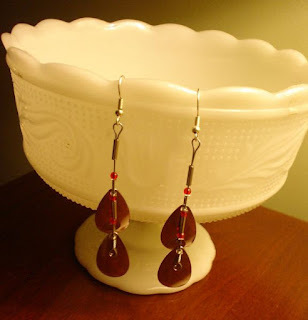 Pick an object that makes a statement about who you are, or simply something that you like the look of. Attach to a hook and there you are. Makes wonderfully personal gifts too.